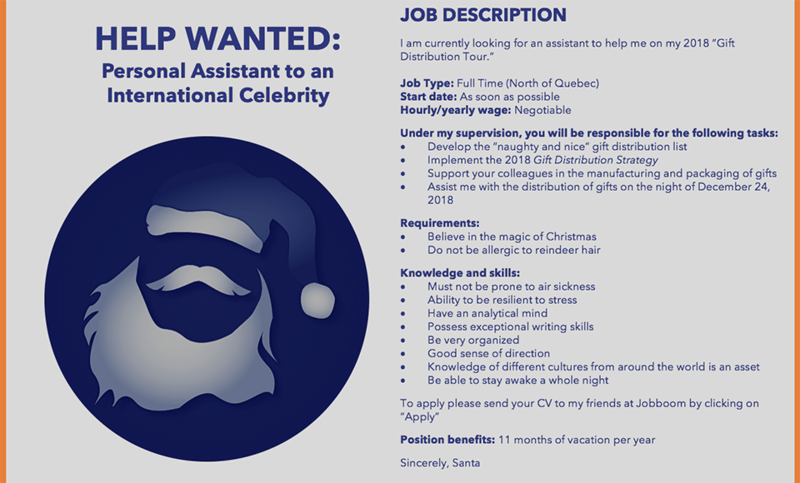 While the original ad was posted on JobBoom in French, we have provided a translated version below so you too, can enjoy a little giggle with us. It certainly has been a historic year in Canada from an employment perspective. According to the latest Labour Force Survey from Statistics Canada, employment continues to grow, “driven by gains in full-time work.” In fact, in November, the unemployment rate decreased to 5.6%, which is actually the lowest rate since comparable data since 1976! Nationally, employment in the private sector saw a healthy increase this past month, and in Ontario, jobs in health care and social assistance grew for the second consecutive month. Interestingly, Canada also saw cannabis-related jobs grow by a whopping 266% over the past 12 months. Across all of these sectors, the BlueSky Personnel Solutions team has seen competition for French/Bilingual talent grow exponentially. There are simply not enough qualified candidates right now for the growing number of open jobs. And this has meant that employers have had to become more nimble, humble, and more creative than ever before. We must be able to answer for employees – why are we doing the work we are doing? HR Reporter cited a Morneau Shepell survey recently that confirms Canadian businesses’ top priority next year will be to continue attracting and retaining workers in this era of our labour shortage. Employee turnover continues to be a big thorn on the side of HR professionals, and employee engagement strategies, as a result, will be a strong focus in 2019. Every employee must be able to articulate why they are doing the work they are doing. Without that answer, they will move onto other opportunities. We can’t overestimate the value of people to people connections: LinkedIn just released their latest Emerging Jobs Report where they make the case that while AI (Artificial Intelligence) is on the rise, the power of humans – especially in roles such as Sales Development and Administrative Assistants cannot be underestimated. In our experience, we are also seeing these positions steadily growing. And the demand for French/Bilingual talent in these roles has also grown significantly. Understanding and mobilizing people will be a must: Forbes also just released their predictions for top jobs in 2019, and one key focus area they cite is: soft skills, including oral communications and people management. In today’s tech-addicted world, soft skills such as presentation skills, and empathetic leadership are emerging as significant skills gaps that must be addressed. These trends point to one critical takeaway for 2019: technology will not over-ride the value of what a people-driven workforce can bring to business. As our current labour shortage carries into next year, it’ll become more important than ever for employers to deeply value their workforce, and cultivate healthy, mutually-beneficial relationships. Cheers to your people-focused business success in 2019! 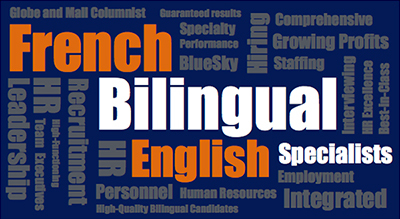 The BlueSky Personnel Solutions team speaks to top Bilingual/French talent every day. If you’re in hiring mode and need to secure the best talent in today’s incredibly competitive marketplace, we can help you find your perfect team fit. Contact us today at: 416-236-3303 or by email at: info@blueskypersonnel.com.